Nowadays, there are many people using air conditioner in order to provide comfort these days. It is important for you to maintain the condition of your air conditioning system to make sure that your unit can work properly. There is one maintaining process that is called as the chemical overhaul. It is usually done by cleaning all parts of the air conditioner by using chemical solution. In this article, you will learn some benefits of doing the air conditioner chemical overhaul. This chemical overhaul is usually needed to find any problems in the air conditioning system. A good air conditioner needs several parts to work together. It is difficult to find a problem in the system without doing any overhaul on the system. That is the reason why people need this treatment in order to separate all parts and find the problems that may occur in the air conditioner system. By doing this method, you can find all problems in your air conditioning system and fix them effectively. Many people do the chemical overhaul on their air conditioner in order to reduce damage from the corrosion. In this method, people usually wash the fan coil by using chemical solution. This method is very effective to prevent any corrosion on the fan coil. You should understand that the fan coil is one of the most expensive parts in the air conditioner system. By preventing any corrosion on the fan coil, you are able to prevent any future problems in your air conditioning system. 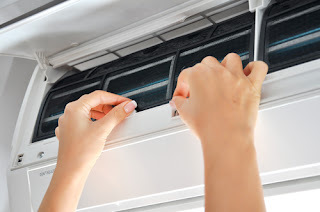 This method allows you to inspect and wash all parts inside your air conditioner system. It means that you are able to remove any dust or dirt that may build up in your device. If all dirts and dusts are not cleaned perfectly, the air conditioning unit may not work effectively to cool your room. Doing a chemical overhaul is very important to keep your unit well maintained. A good chemical overhaul process usually also checks the refrigerant in your air conditioning system. This is very important to make sure that there is enough refrigerant in your unit. Some people may have problems with their air conditioners because they do not have refrigerant to keep their room cool. An effective air conditioner chemical overhaul is able to maintain the function of your air conditioner. This treatment is also good to prevent any problems on your air conditioning system. Some people claim that they are able to prevent water leaking and foul smell by doing the chemical overhaul. This process is very effective to clean all drainage system inside your air conditioner. In most cases, the water leaking and foul smell are usually caused by the broken or clogged drainage system. In this method, you are able to use chemical solution to clean the drainage system in your unit. Those are some benefits of doing the air conditioner chemical overhaul process. It is important to do the overhaul process at least once a month. Frequent cleaning service is needed to make sure that your air conditioner can work properly.